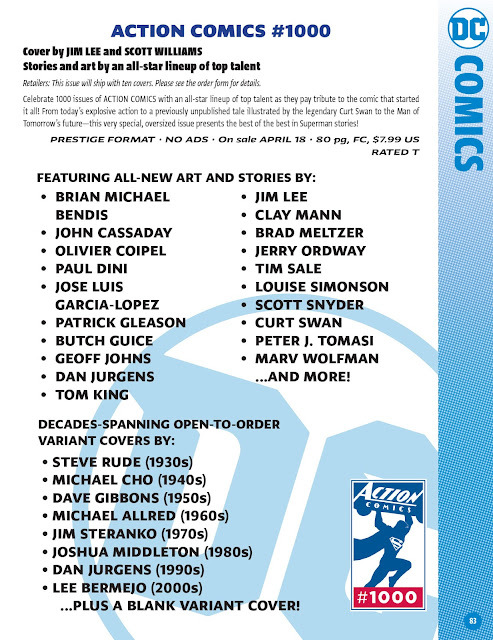 DC is going all-out to celebrate the one-thousandth issue of ACTION COMICS — the longest continually published comic book of its kind in history, the series that introduced Superman to the world and the title that launched the superhero genre. 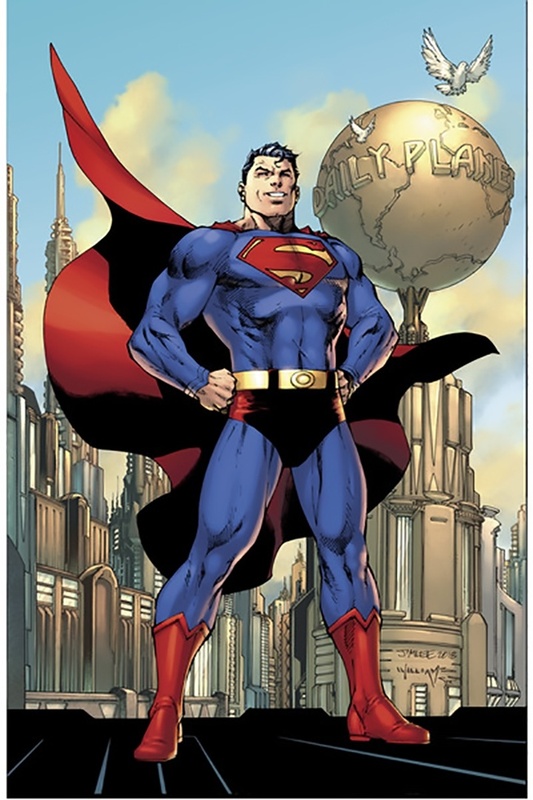 The Jim Lee-drawn cover features a new costume that integrates a variety of classic and new elements, including the Man of Steel’s trademark red trunks. Available at comics retailers and digitally on April 18, ACTION COMICS #1000 features the DC debut of acclaimed writer Brian Michael Bendis in a 10-page Superman story featuring art by DC publisher and celebrated artist Jim Lee. This milestone issue will also include two 15-page stories from two of DC’s current and most popular talent teams: SUPERMAN writer Peter J. Tomasi and artist Pat Gleason, as well as ACTION COMICS writer and artist Dan Jurgens. 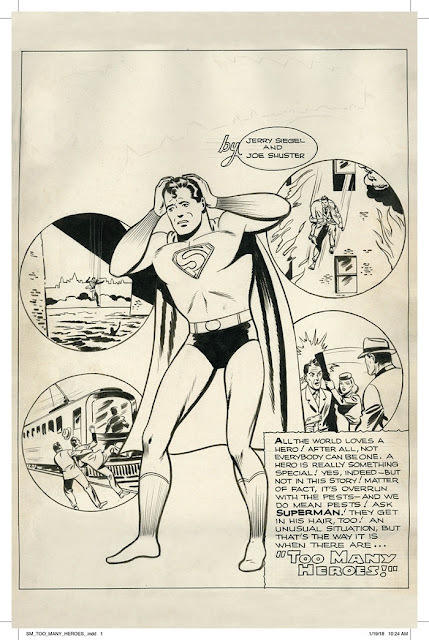 This must-have collector’s item comic book will also feature previously unpublished art from Curt Swan, whose dynamic, iconic style many consider the definitive look for the Man of Steel throughout comics’ Golden and Silver Ages. Acclaimed DC writer Marv Wolfman will script a story based on this never-before-seen content. In addition, the comic will include a collection of memorable bonus stories from some of the most celebrated names in comics and entertainment. Contributors to this once-in-a-lifetime issue include legendary Superman The movie director Richard Donner and New York Times best-selling writer Geoff Johns, with art by Olivier Coipel. Other contributing creative teams will include Paul Dini with José Luis García-López; Tom King with Clay Mann and Jordie Bellaire; Brad Meltzer with John Cassaday and Laura Martin; Louise Simonson with Jerry Ordway; Scott Snyder with Tim Sale and more to be announced. ...erscheint mit insgesamt 10 verschiedenen frei bestellbaren Cover-Motiven! This celebratory comic book is just the beginning; this milestone will be recognized across the DC superhero line for the month of April with a series of Superman-themed variant covers and even more to come. 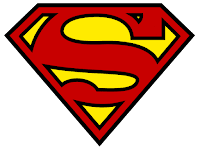 Check out the website at www.dccomics.com or the DC YouTube channel for the latest news regarding Krypton’s last son and his elevation to pop culture icon. (Ergänzt -2- ) Official Press Release: "Action Comics #1000: 80 Years of Superman"
Len Wein, Carmine Infantino and More! 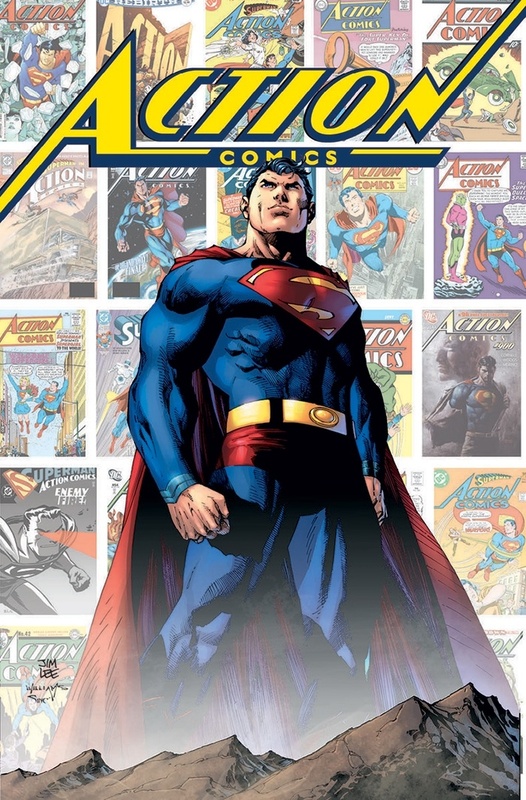 A new hardcover book, ACTION COMICS #1000: 80 YEARS OF SUPERMAN, is being published by DC Entertainment as part of its celebration of the one-thousandth issue of ACTION COMICS — the longest continually published comic book of its kind in history, the series that introduced Superman to the world and the title that launched the superhero genre. The collection features a series of essays and iconic Superman stories edited by former DC Publisher Paul Levitz. “The found Siegel and Shuster story is a true treasure with a fascinating backstory,” stated Levitz. “Back when DC did regular tours of the New York office, it was common for fans to get original art that would have been otherwise disposed of as a tour souvenir. As a young fan on a tour Marv Wolfman found this Superman story and kept it all these years. The 384-page hardcover book will cost $29.99 and hit store shelves on April 19. Siegel, Shuster, Superman's 80. und das Begleitbuch!